With the increasing population putting pressure on the housing market many older Australians are facing the prospect of living on the streets. This struggle is even more daunting for older people from culturally and linguistically diverse backgrounds (CALD) and is an issue that’s been highlighted at Cultural Diversity Week, Victoria’s largest multicultural celebration running from March 16-24. Studies from the Australian Institute of Health and Welfare has shown over the last decade, the number of older Australians aged between 55 and 74 years old experiencing homelessness has increased by 49 percent. The stress and desperation felt when faced with homelessness is an experience Chinese-born Yin Chen and his wife know well. Migrating to Australia in 1999, the couple had a relationship breakdown with their son and daughter-in-law, which saw the pensioners facing the very real prospect of homelessness. Speaking through Villa Maria Catholic Homes Case Manager and translator, Amy Yuen, 92 year old Mr Chen says he felt “depressed, frustrated and desperate” before moving into public housing in Melbourne. Ms Yuen helped Mr Chen and his wife get a roof over their heads and is described as “one of the most significant people” in Mr Chen’s life since arriving in Australia. 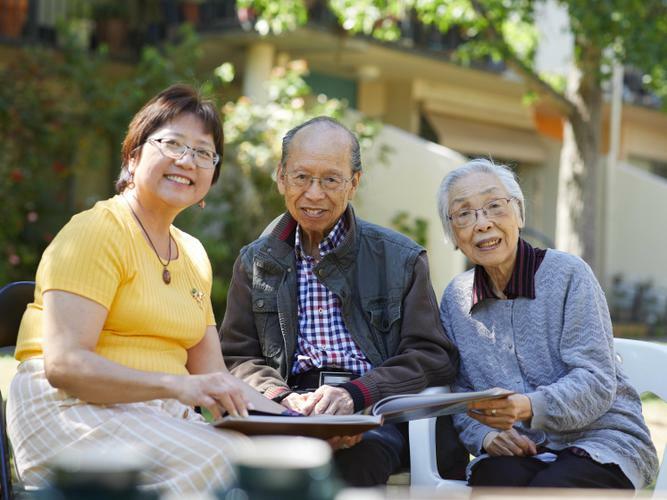 Specialising in the housing needs of older people, Housing for the Aged Action Group (HAAG) reports many older migrants, especially Chinese and Indian migrants, often arrive in Australia later in life and haven’t been able to purchase a house. These older people are at a higher risk of becoming homeless due to language barriers, a lack of knowledge in navigating Australian systems and poorer overall socioeconomic status. Ms Yuen believes the type of housing, its location and ongoing support from services is crucial for older people’s long-term housing success. “Along with more public housing, we also need to ensure once they are housed there is enough social, emotional and financial support for people to live happy, healthy and longer lives. “A big part of this is community groups and organisations working together to identify at-risk people and link them with relevant services,” she says. Describing Mr Chen as one of the “lucky ones”, Ms Yuen says more needs to be done to help engage older people from CALD backgrounds who feel socially isolated and unsure of where to turn. Cultural Diversity Week is presented by the Victorian Multicultural Commission, with support from the Victorian Government. Now in its 17th year, the 2019 theme - Proud to belong - Your Generation Your Stories invites Victorians to embrace and celebrate our cultural diversity.